It’s time for something a bit special. A top-notch suit deserves to be paired with equally impressive footwear. 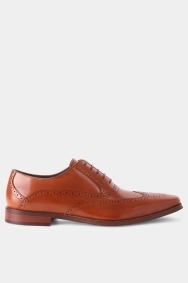 Bring out the big guns by opting for these tan Oxfords from renowned English shoemaker John White. 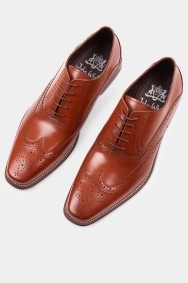 Quality materials, expert stitching and the finest brogue detailing are all on display here. Comfortable too thanks to a cushioned lining, these shoes are designed to shine under the spotlight. 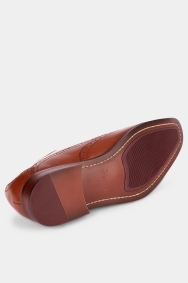 Oxford lacing is ideal for smarter occasions, while classy broguing will give your appearance a playful edge. Pair with a blue suit for maximum impact. 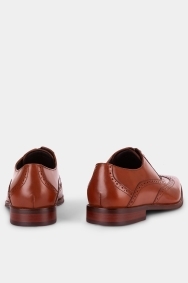 Beautiful shoes , wasn't meant to be purchasing them but the sales assistant allowed me to wear whilst trying on trousers, no brainer not to buy as perfect for outfit. Beautiful brougue. I like John white shoes.